Despite obstacles early in life, Eddie never stopped working hard and has since found satisfying community employment. 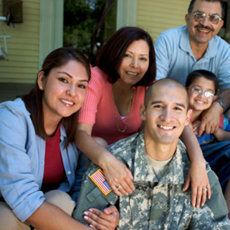 Our community’s veterans and their families have somewhere to turn to gain the support they need to successfully transition to civilian lives. Those who meet Mushay today have trouble believing that she was once a shy teenager facing economic challenges and struggling in school. 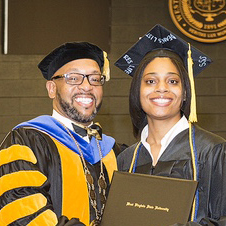 Now she's a college graduate who is paying it forward as a Workforce Development Specialist. Ask him about his childhood or his time in school, and Eddie Pope is tight-lipped. He remembers very little of his childhood, and in his own guarded words, “School was school.” But ask him about Easterseals, and bursts of laughter punctuate his stories. 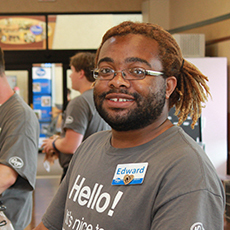 Eddie exemplifies the path to employment for many young people with disabilities. After graduating high school, he was attracted to the structure and training offered in Easter Seals’ packaging facility, and he enjoyed the variety of tasks and the people there. After three years, Eddie was ready for the next challenge. With his energetic personality and experience, he was offered a position in Easter Seals’ Work and Grow program, a blend of paid work and recreational activities in a community setting. It’s been a great fit—the coworkers, the environment, and seeing room for advancement. When he began as a Courtesy Clerk, he already had his eye on becoming a Cashier. Sure enough, in late 2017 he achieved that goal! 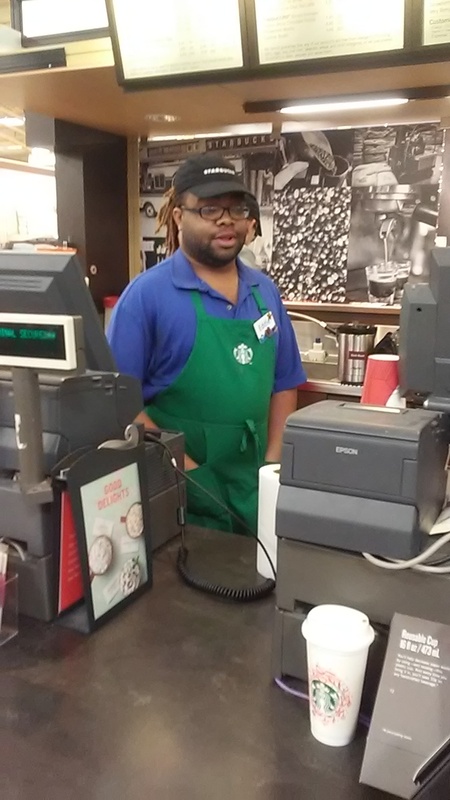 He was promoted to Cashier, and splits his shifts between Kroger and the in-store Starbucks. “I felt great, I was so happy I got the position, I was so happy,” gleefully exclaimed Eddie.